2 Beds 2 Baths 881 Sq. 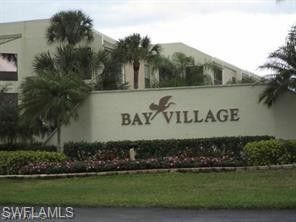 ft.
Bay Village is one of the best kept secrets on Fort Myers Beach! Nestled in a quiet neighborhood yet close to the beach, shopping and dining! Well maintained complex! This unit is close to the pool and is an inside corner so you get extra views on the side of the lanai. Second floor unit ready for decorating. extra storage and under building parking. Hard to find 2 bedroom units on the market!! !